In 2011 I wrote a Letter to Parents of Autistic Children. Almost five years letter, I thought I’d copy it to my blog. The only update I would put in about it today is in regard to the last sentence, asking parents to put limits on their autistic child’s “screen time” (that is all types of computers, IPhone, etc.) because I realize such devices are completely a part of today’s world and so it is useless to fight that off; however it is still a good idea to limit the time spent in front of screens. I know of a teacher (of autistic children) who has started a “Dark Screen Time” in his classroom: every day the students are asked to leave their screens dark for at least 45 minutes. It is apparently well accepted by the kids. My psychiatrist suggested I write a letter to you, the parents of autistic children. I am an autistic 46 year-old woman. I have a 19 year-old child. A disciplined zen practice has allowed me to survive the terrible chaos and pain that autism is, and along the way I have learned to better (if imperfectly) express myself so that non-autistic people can understand some of what I experience. Though at times I display unusual behaviors and my limitations are plainly visible, I am fully endowed with the longings and desires of human beings. I am a human being. As a child I was not labelled autistic and so “normal” ways, for example proper behavior and politeness, were expected of me. It may have taken me longer than most to learn these and I learned in unusual ways, but I did fulfill the expectations so that as an adult I was able to live independently. The way I see it, not to expect such “normal” behaviors is among the worst things that can happen to an autistic child exactly because some normal behaviors are the door to independence. Lacking them also results in our withdrawing from people we do not trust. I have paid a great price in order to appear normal. I have hidden my chronic agitation at all cost and some of this suppression now manifests as physical pain. I sometimes think of a human being as like a body of water: Some bodies are calm, some are agitated. The cause of this agitation might be invisible, as from a deep underwater source. As I experience it the longer an autistic person hides his/her true nature, the more the nerves “wear out” and become tense. 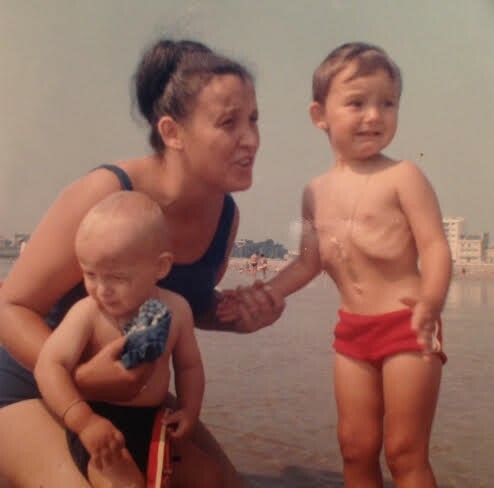 By the time my son was born, on top of much emotional anxiety, bipolarity and such, my body became even more painful, until a few years ago I could hardly function any longer. I do not want to be seen as crazy. I am not: I am only different. I may well solve a particular life problem in a different way, one that might take longer but in the end may also be more thorough or even more valuable. If you believe I have more limitations than most others, I suspect that is not true. Even as a young child when I could not express it, I would sense others’ smugness and it would cause me to shut off. We all have limitations. Others’ limitations may not be as visible, but they have as much reality as mine. As a child I did not understand this. I even believed I liked the special effect my dad’s cologne had on me! I have made up the word to desribe what makes me ill: AGRUAR — for AGgressive, RUshed, ARtificial. TVs, computer screens and all such devices fall into this category. Even though your child is swallowed into them, please consider protecting her/him from too much of them. Offer your child the gift of outdoor activities! Nature has been a true solace to me all along. Thank you for taking the time to read this, and I hope it helps! This entry was posted in Uncategorized and tagged autistic children on September 8, 2015 by Anne-Laure (Anlor) Davin. Thank you, Anne Laure. Thank you.